The electronic tablet market has been a highly competitive place, with consumers being offered a wide variety of devices from iPads, to Kindles and Nooks, and more. 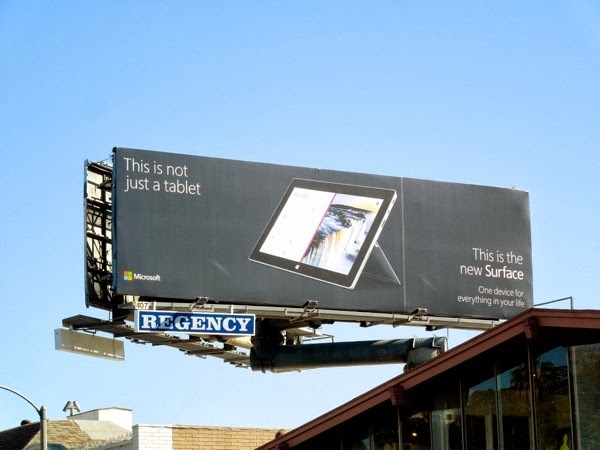 One tablet that didn't prove immediately popular with consumers was Microsoft's first generation Surface, which resulted in a multi-million dollar write off for the technology and software company. 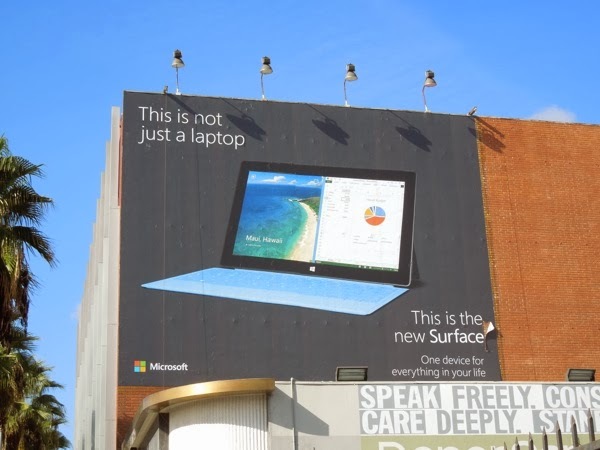 When the Surface launched this time last year, Daily Billboard was critical of their clinical and flat advertising campaign, just take a look at these Surface launch billboards. 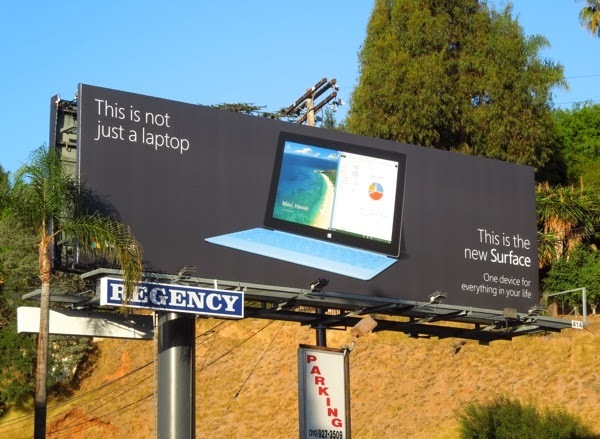 But what about the ads for the new Surface tablet, are they an improvement? 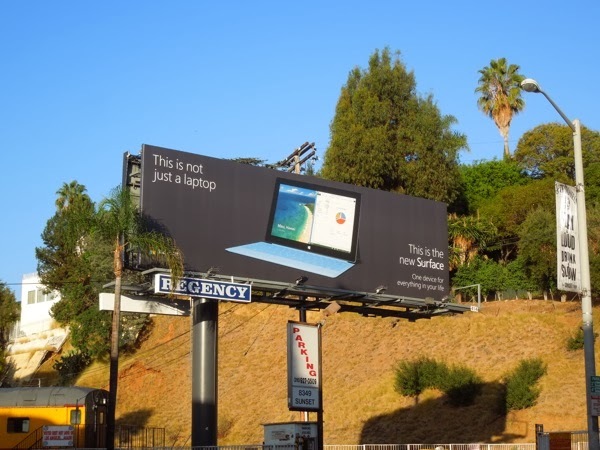 Well the advertising wants us to know that this product is not just a laptop or a tablet, but instead the best of both worlds for everything in your life. Unfortunately, these billboards are still very businesslike and the black background isn't particularly consumer-friendly. It's almost like the first ads were too close to Apple's iPad advertising, so there was a mandate not to have a white or light background like the first time around, and to do the exact opposite. The result is very product focused and the ad creatives appear slightly devoid of any personality. 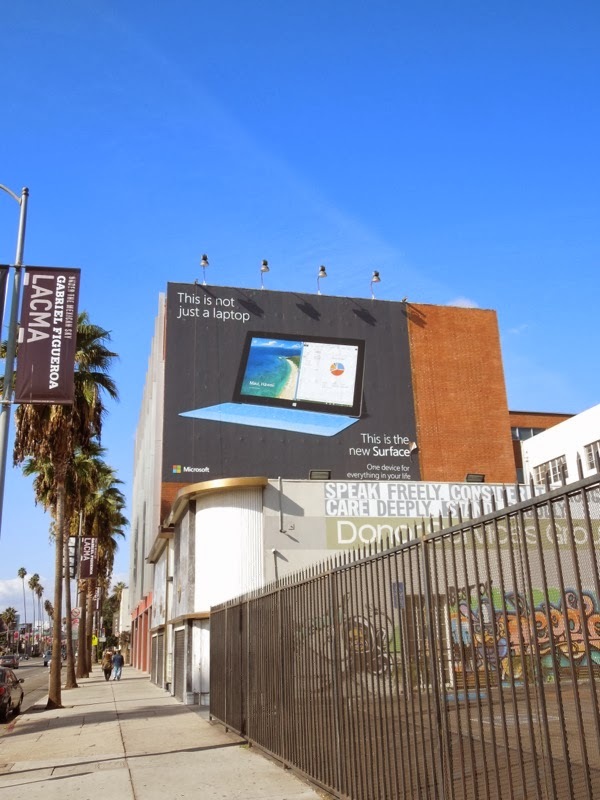 This ad campaign for the Surface 2 were snapped along Sunset Boulevard in three different locations from October 30 to November 17, 2013. 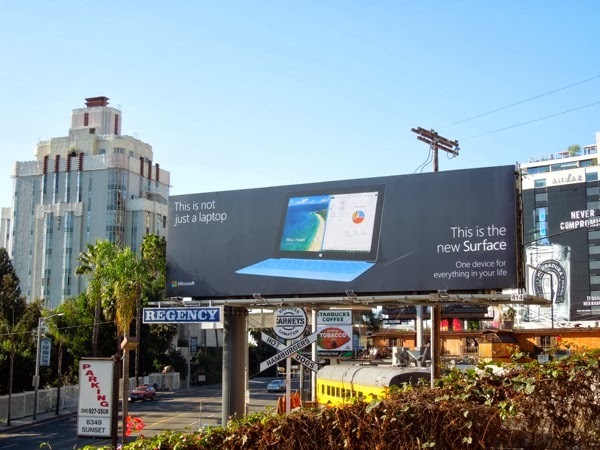 Let's hope these billboards prove successful for Microsoft than their first attempt.